Your Top Choice for all your Marine Construction Projects. Quality where it counts. Whether by land or barge, Conte designs and builds waterfront structures that are functional, beautiful, and most important, strong. We take building over the water to the next level and set the standards for waterfront construction. Pile Driving: Conte Construction, LLC can drive or set pilings for almost any project. The pilings are the foundation for a strong structure. Our pile driving techniques and equipment allow us to get the job done quickly and correctly. Piling Removal: We can remove and dispose of old, damaged, and unsightly pilings. With the capability to work from land or water, we can remove nearly any pilings, if needed. Our bulkheads and retaining walls our made to last. Preventing your land from erosion is an important step in protecting the investment of your property and home. Conte Construction will use the best techniques and designs that will provide you with a bulkhead or retaining wall that is structurally sound and looks good too. We don’t cut corners and our building methods blow the competition out of the water. We know that you live on the Coast for the water, so why not make getting to use it, even easier with a new Boathouse? We design and build beautiful Boathouses to meet your specifications and space requirements. A Boathouse will help protect your boat from the elements and makes boating a breeze. Whether it’s fishing from your new pier or grilling it up on your new deck, Conte will work with you to make living on the Coast, like a vacation every day. 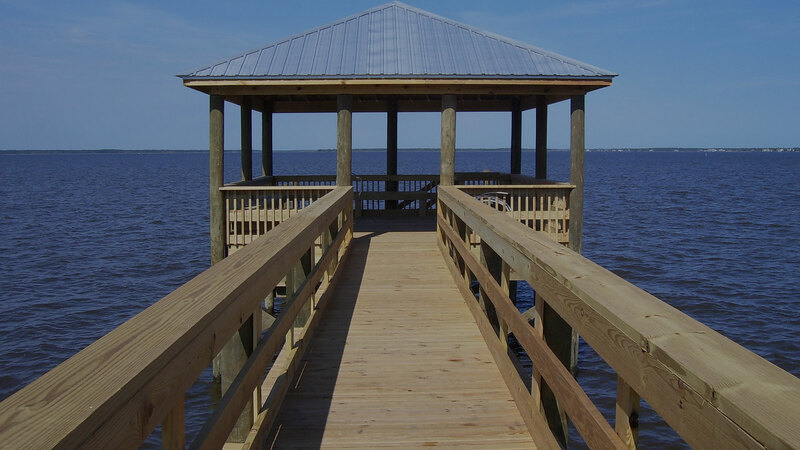 Quality materials and our beautiful designs, let you enjoy the outdoors and your waterfront property. We can work by land or water. Exceptional building techniques separates Conte Construction from the rest. We are experienced and knowledgeable in the time trusted and the new innovative products. We have all the proper machinery needed for your waterfront construction, even for those hard to access jobs. We will exceed your expectations and provide you with products you and your family will enjoy for years to come. Contact Us Today at 228-466-5023 for a free quote.